Home Shop in Antwerp When do you give your pet a gift? When do you give your pet a gift? 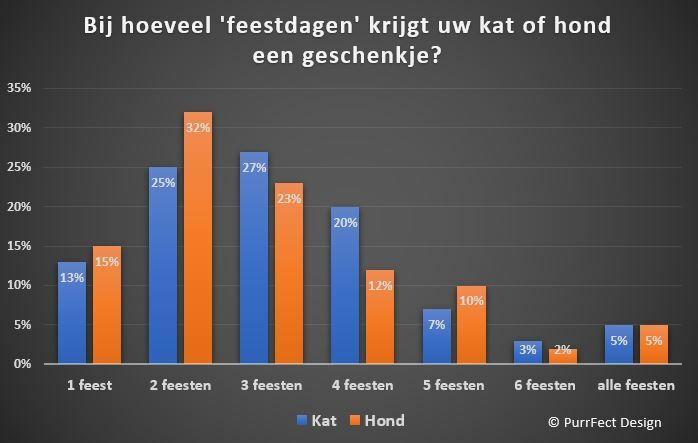 On which holidays/occasions does your cat or dog receive a gift? Are you the only one who spoils his animal on holidays? Or does everyone give gifts to their four-legged friend? 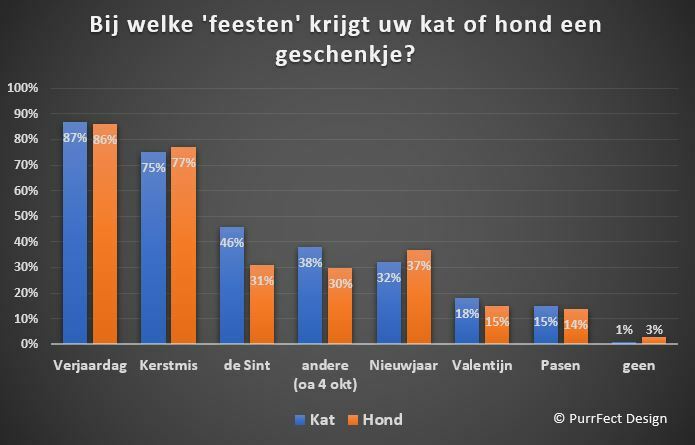 Almost 1000 animal lovers answered our question "At which 'holday' does your cat or dog get a present?" You are certainly not the only one who will spoil his animal on special occasions! Of course not, our dogs and cats are full family members.